Summer type. Great to eat any way you cook it. Glossy black-green zucchini with creamy, white flesh. Plants have an open habit which makes for easy picking. Best picked when 6 to 8" long. Squash, Black Beauty is rated 4.3 out of 5 by 6. Rated 5 out of 5 by greg74 from Very Impressed! I really like the growing habit of this plant, compact yet huge and vigorous. Production started off a bit slow, but now in late August pumping squash out one after the other. They don't seem to have lost any vigor and I'm curious how long they will keep producing. We have two plants and they have done a good job keeping us supplied. May grow three next season. 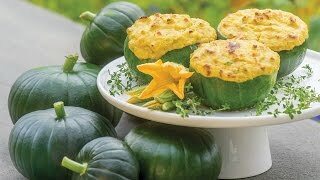 I won't grow yellow summer squash anymore as this is just too vigorous and easy to grow and tastes similar enough. Rated 5 out of 5 by SammyPapas from Oh My Gosh, Huge like footballs I can't tell you how fast these guys grow! They Germinated fast and every time I look at the garden I had like 2 more huge fruits. I have 5 plants in my garden and we are picking a fruit almost every day. I gave my mom a 5 plants, she is having a lot of luck with hers too. The plants in the pots actually have been producing the most (we just didn't have room in the ground for them all). Rated 5 out of 5 by VAContainerGardener from Awesome Plant! I've had wonderful success with this plant. It germinates easily and grows prolifically. This was the first vegetable plant I ever grew. I actually had leftover seeds from last year and thought I'd try them again, just in case they were still good. Success! Almost every seed I planted germinated. Last year I grew them in a pot that was about 18" wide (2 plants). I got a good harvest despite some issues highlighted below. With some changes, I anticipate a better harvest this year. This year I have two slightly larger containers (maybe closer to 20") with two plants apiece and so far, so good. The only changes/lessons learned from last year: 1. I moved them from a black pot to a tan pot because it just got too hot for the plant. 2. 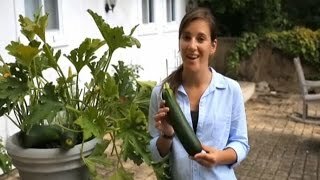 I will fertilize with liquid fertilizer for veggie plants because they ran out of nutrients last year and the fruit didn't do so well as a result. 3. I will watch my husband more closely because he tried to "help" by watering twice daily, resulting in the fruit rotting on the stem. Points for effort, not execution. :) You need a lot of sunlight and expect them to wilt in the afternoon on hot days. Watch out for vine borers and powdery mildew. I used Sevin dust last year to keep the vine borers away. Rated 5 out of 5 by urbanfarmlady from Great Flavor! You will have so many squash in a short time, get the recipes ready! They are easy to grow and quick to harvest. Even the very large ones were flavorful and not woody as I thought they may be. My picture also has cucumbers in the dish.